Raised in Sandy, UT, Todd Horne began his illustrious career as a performer at the tender age of five when he starred as the Gingerbread Boy in his kindergarten class play. Since then, Todd has performed all over the United States, Jerusalem, and Europe, touring with groups such as the Millennium Choir, Odyssey Choir, and the LDS Business College Choir, of which he was President. 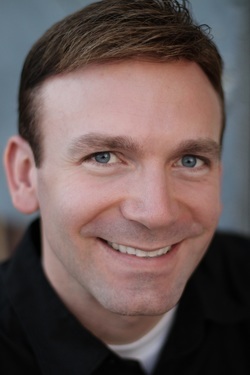 Most recently Todd has sung with both the Brigham Young University Men's Chorus and Concert Choir. He is an accomplished music conductor, has performed recordings on ten publicly released albums, and has taught voice and ballroom dance lessons. Some of Todd’s most memorable experiences have been singing a solo for President Hinckley, performing a solo at the Duomo in Milan, the largest cathedral in Italy, including Mass at St. Peter’s Basilica, and singing for General Conference. Quote: "Work like you don't need the money, love like you've never been hurt, dance like no one's watching."